Dr Hardwicke graduated from University College Hospital, University of London in 1983. He completed his vocational training at the University of Cambridge and worked in the hospital system and general practice in the UK before moving to Canberra. 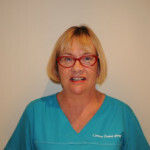 Whilst working at the Corinna Dental Group, Dr Hardwicke has completed a Diploma in Clinical Dentistry (Sedation) (University of Sydney), a Masters of Science in Medicine (Pain Management (University of Sydney). He is a Member of the Royal Australasian College of Dental Surgeons and has completed a further Graduate Diploma in Dental Sleep Medicine (Universities of Western Australia/ Adelaide). He is married with three adult children and is active in the equestrian world. He endeavours to keep himself fit! 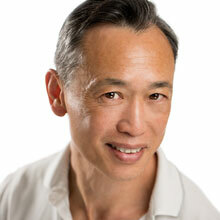 He has been in general dental practice in Canberra since 1989 and is the principal of the Corinna Dental Group. 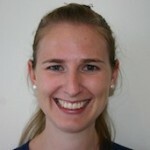 Dr Ash graduated from the University of Sydney and has worked extensively throughout the ACT, NSW and overseas. 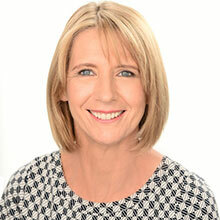 Her current area of special interest is sleep medicine and as an active member of the Australian Sleep Association, she brings an extensive knowledge of the use of Somnomed Mandibular Advancement Splints to the practice (Platinum Standard). She holds a Graduate Diploma in Dental Sleep Medicine (Universities of Western Australia/Adelaide). Dr Huen graduated from Bristol University, UK in 1984. He arrived in Australia shortly after and worked at the United Dental Hospital in Sydney for seven years, before moving to Canberra and commencing work in private practice in various suburbs in the area. He brings with him a wealth of experience. In his free time, he enjoys keeping fit, music, the arts and is a keen traveler. Dr Caroline Madsen was born and raised in Wollongong, completed her Bachelor Degree in Medical Science there, before moving to Adelaide and undertaking her Bachelor Degree in Dental Surgery. 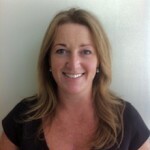 Caroline has worked in private practices in Adelaide, Brisbane, Wollongong and now Canberra. Caroline is passionate about using the best techniques that dentistry has to offer, and strives to provide the highest level of care for her patients. She welcomes all new patients and those who are quite anxious and nervous. 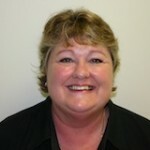 Caroline loves to treat children and believes they have a bright dental future ahead of them. She regularly attends seminars and conferences to further her knowledge and expertise in various fields of dentistry; she was successful in passing the Royal Australasian College of Dental Surgeons Primary Examination in 2007. Outside of dentistry, Caroline enjoys cooking, hiking, travelling and spending time with her husband, family and friends. 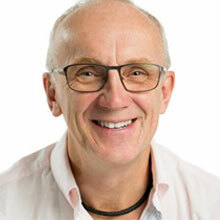 Dr Marshall has nearly thirty years experience of working in general dental practice in both New Zealand and Australia, and this depth of experience helps him in handling and treating anxious patients ; his gentle manner creating a relaxed stress free environment. Steve’s main area of interest is amalgam free dentistry and endodontic work (root canal therapy). 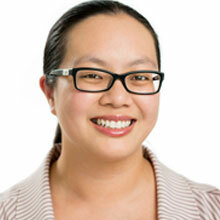 Dr Leung graduated with a Bachelor of Dentistry and a Bachelor of Pharmacy from the University of Sydney. Jessica believes strongly in the importance of preventative and painless dentistry and feels strongly that good oral health can be achieved no matter what the age of the patient. She feels it is important to stay up to date with all things dental and stays in touch with newest developments in the field, by attending conferences and study groups. Outside of dentistry, Jessica enjoys cooking, cycling and spending time with her family. Dr Nimmagadda graduated from Bapuji Dental College, India in 1999. She moved to Sydney in 2002 and worked in the public hospital system and private practice, before completing a Masters in Clinical Dentistry (Implant Dentistry) in Griffith University in 2013. 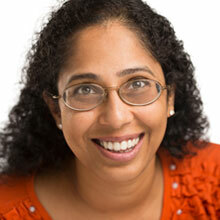 Sireesha has a special interest in the field of periodontal health (gum health) along with implant dentistry. She believes that learning is a lifetime affair and divides her spare hours between her interest in meditation, nutrition and her children’s interest in music. Kristie graduated from University of Newcastle where she completed her Bachelor of Oral Health. Kristie has had many years of experience in the dental industry and is a country girl at heart! led her to study for the diploma of dental hygiene in South Australia where she graduated in 1998. Amy soon moved to the ACT where she has experienced many fields of dentistry such as periodontics, prosthodontics, orthodontics as well as general private practice. She has a special interest in better oral health for aged care residents and enjoys being an active member of the dental hygiene association continuing education committee. Katharine joined the practice in 2012. She spreads herself between the three practices and keeps herself incredibly busy! Outside of work, Katharine enjoys spending time with her three children. Marina works at the front desk at our Brindabella Business Park surgery. She moved to Australia from New Zealand eight years ago with her family and has worked extensively within the dental industry. She enjoys walking the family dog. 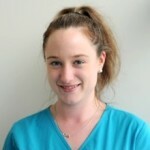 Robyn works at our Woden surgery as a dental assistant. She has been working within the dental industry for 15 years, bringing with her extensive dental and office admin knowledge. She enjoys taking her two King Charles Spaniels for long country walks. 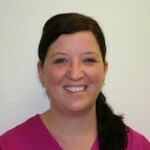 Alicia is a qualified dental Assistant that has worked within the Group for several years. Again she has a wealth of experience and is now rapidly becoming an expert on toddler training! In her free-time, Alicia enjoys traveling and spending time with her family & friends. Alicia is currently on maternity leave awaiting the birth of her second child, but will be re-joining the practice in late 2014. 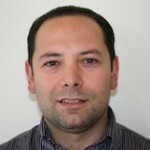 Giovanni moved to Australia from Italy, before deciding to settle in Canberra. He has had an extensive career, and brings a wealth of experience to the Group. The art work in the Woden Office was created by his very talented wife. When not busy at work, Giovanni – enjoys spending time with his young family. Patti joins the team in a part-time capacity to assist in sedation. Originally from the north of Ireland, and having trained in the UK, she has worked extensively as a registered nurse in both general and midwifery practices. She also enjoys her travel and theatre going. Christie has just moved here from Cooma. She enjoys reading and watching movies in her spare time. Christie has been involved in dentistry as a dental assistant since 2008, and will be working at each of the three surgeries. 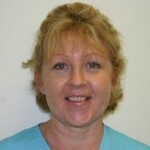 She is looking forward to using her nursing experience in her dealings with both patients and staff within the Group.